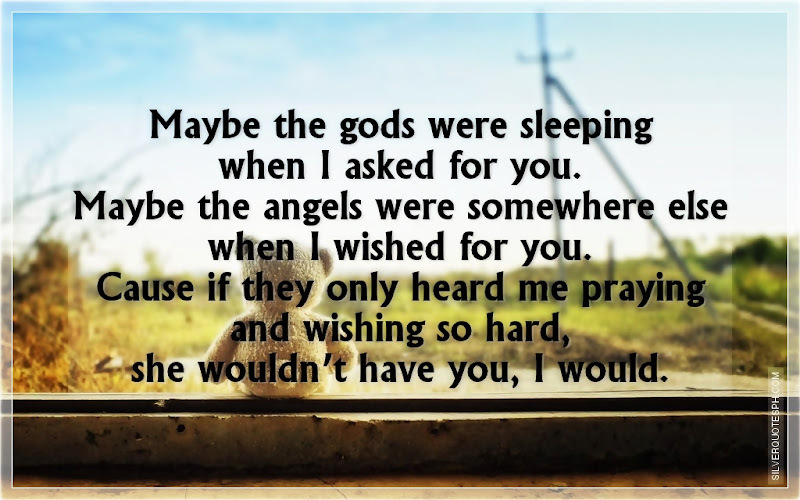 Maybe the gods were sleeping when I asked for you. Maybe the angels were somewhere else when I wished for you. Cause if they only heard me praying and wishing so hard, she wouldn’t have you, I would.